So I recently got my hands on a Google Daydream View and let me just say that I’m hooked on it. I’ve used Google Cardboard in the past and while that was neat, the Google Daydream View blows it away thanks in part to the more comfortable design and the included remote controller. 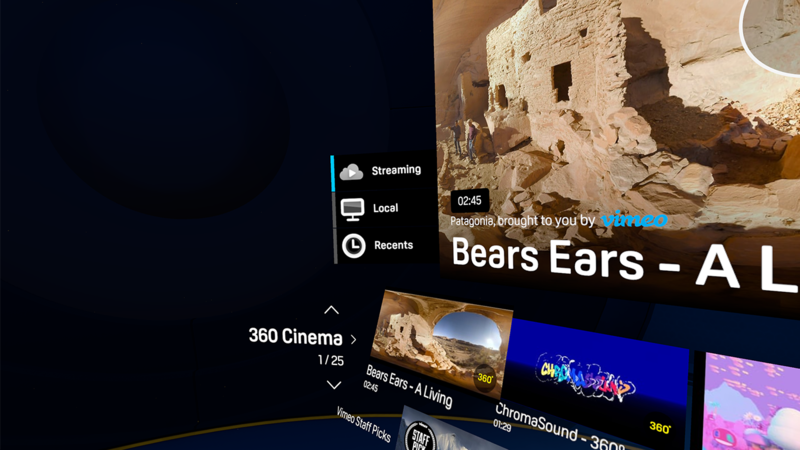 With that said, I’ve been using my Daydream View to consume a lot of media, mainly videos and one of the better video players I’ve found and use is Vive Video by Vive Creative Labs. 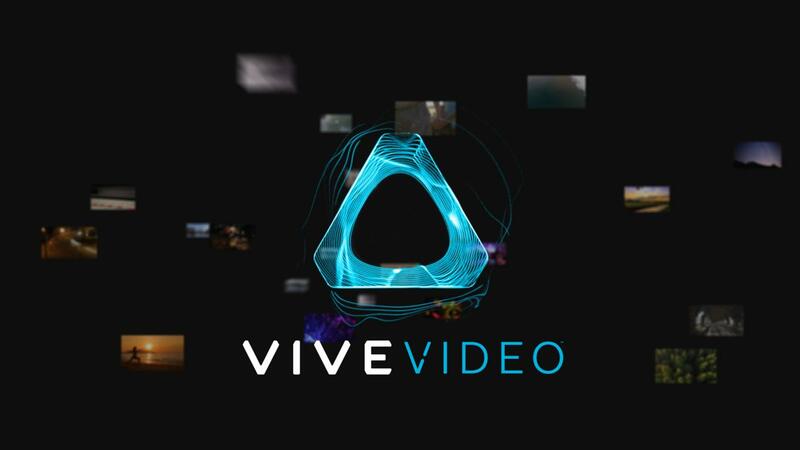 Vive Video allows you to view streaming media as well as video files stored locally on your smartphone. The streaming media seems to be curated and arranged in genres. There’s no way to search for specific videos as you can only watch what has been picked for you. I’m not sure if the videos ever change as I haven’t been using it long enough to really tell. But anyways, I don’t really use Vive Video to stream videos. Instead I use it mainly to view videos that I have stored locally. It does a good job of playing most video files as I haven’t come across one yet that it won’t play. 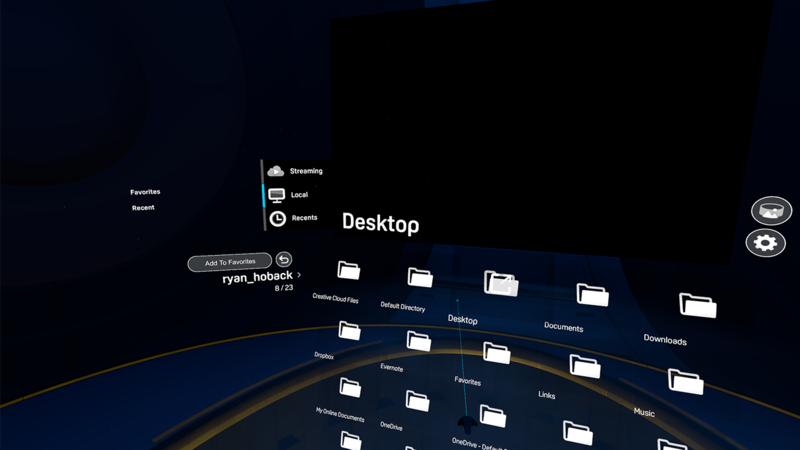 What I really like about Vive Video is that the user interface and the atmosphere it presents. You can choose 1 of 2 scenes. 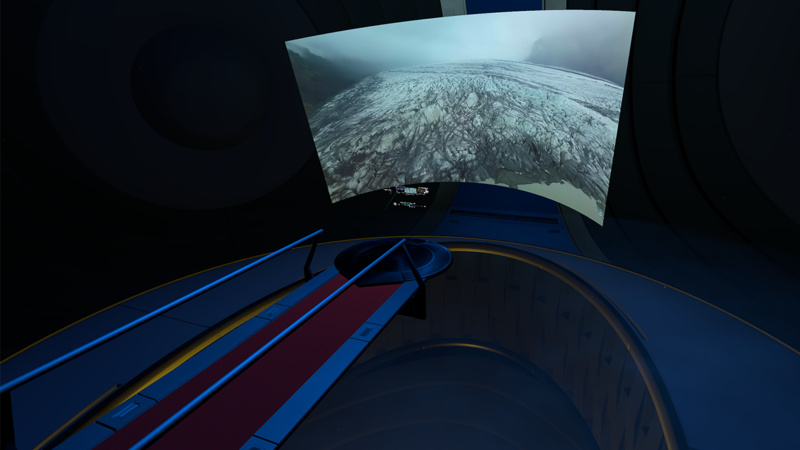 It’s either a futuristic looking theater or a mountain side where you’re watching your videos over the side of a cliff. The “screen” can be sized virtually to make it look like your either sitting in the first row at a movie theater or in the back row. It’s pretty neat to say the least. The screen can even be curved. Once you start your video, you can even grab the screen and position it so it’s possible to watch your movies while lying down. It really does present a relaxing place to watch movies and it’s like having your own private theater at home. Controls are fairly easy to master too. You can browse videos in your library by sliding your thumb over the touchpad and select them by clicking it. To scrub through your video, you’ll have to use the toolbar by pointing at it and grabbing it. 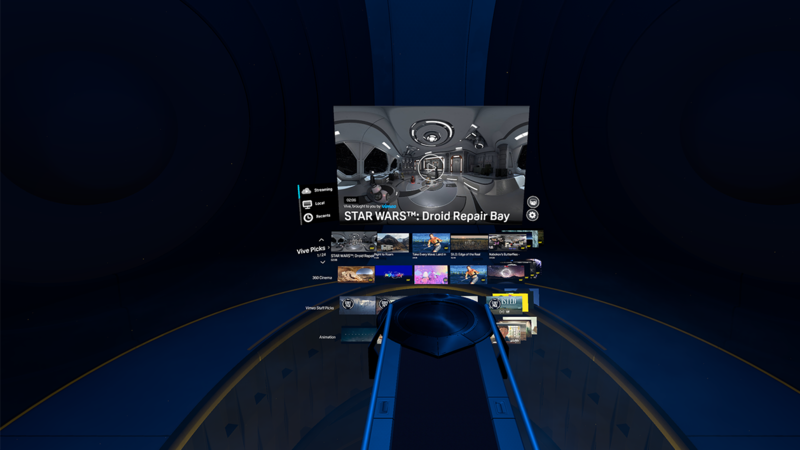 When it comes to watching my own videos in VR, Vive Video is my go to app in Daydream View. It does everything I expect a good video player to do while adding little features here and there that make it a joy to use. I am however hoping there will be more environments in the future to use in the app, but in the meantime, the two included are pretty good. Overall, you can’t go wrong with Vive video for most of your video viewing needs. 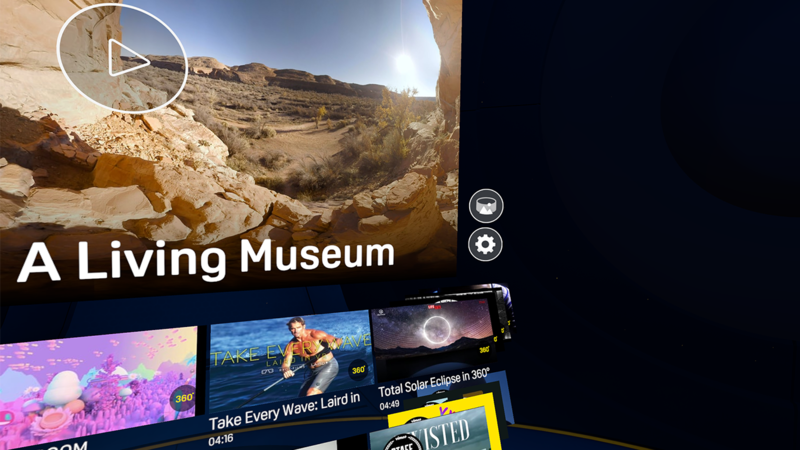 Vive Video is an immersive, cinematic video player for standard, 3D, 180˚and 360˚ videos in VR. Watch local videos from your device or enjoy a constantly evolving body of high quality streaming content from our content partner Vimeo. • A mini-browser interface that lets you browse the streaming catalog without leaving your current video. • Ability to change the viewing environment. • Ability to resize flat videos. • Ability to change the position of flat videos in the environment. • Supports seated or standing experience.